The Federal Transit Administration (FTA) recently required a local transit authority to return over $900,000 in federal grant funds that were used to pay an A/E firm for the design of a new facility. The Lackawanna County (NY) Transit Authority must return the full federal grant applied to the hiring of an A/E firm to perform design services for a proposed intermodal transportation center. The reason for this action? The local authority did not comply with applicable federal laws and regulations in the selection and contracting with this A/E. Failure to follow required Brooks Act procurement caused the design services to be not eligible for federal funding under the “common grant rule”, which forms one of the baseline grant rules applicable to recipients of federal funds. Federal Grant rules, as specified by various laws and regulations make it very clear that if federal funds are used in the procurement of A/E services, federal law, including QBS (Brooks Act) and contracting and payments (FAR) must follow federal rules. This action is long overdue, and hopefully will be the start of a trend that ends with all recipients of federal funds following the established best practices incorporated in federal procurement of A/E services. Fair and open procurement, and fair contract terms for A/E firms have for many been often been a challenge at the state and local level. Hopefully this “message” of the risks of not following fair contracting processes will spread to many other agencies with questionable contracting practices. In this instance, FTA asked for the money back from the local transit authority, without any penalty or refund from the A/E. The managers of Kansas City-based HOK Sport Venue Event, the world's leading sports architecture firm, and the board of its St. Louis-based parent company, HOK Group Inc., have agreed to a transfer in ownership of HOK Sport Venue Event to the leaders of that practice, according to a Kansas City Business Journal article published Thursday. Financial terms were not disclosed, according to the article, which said that HOK Group shareholders approved the transaction at a meeting on Thursday. Subject to final terms, the buyout is expected to be complete by the end of 2008. The article states that the deal also calls for HOK Sport Venue Event, a wholly owned subsidiary of HOK Group since 2000, to launch a new corporate name and brand after becoming an independent company. An employee-owned firm with 26 regional offices on four continents, HOK Group posted $631 million in revenue last year up 32 percent from $479 million in 2006, according to the article. HOK Sport reported $154 million in 2007 billings, up 22 percent from $126 million in 2006. According to a press release announcing the split, the buyout will not affect clients or projects, and both practices will continue to collaborate on projects where their combined expertise will benefit the client and the project. Update: ENR to buy Building Design + Construction? Last month, we wrote that McGraw-Hill (which publishes Engineering News-Record and Architectural Record, among many other publications) is interested in buying Reed Business Information (which publishes Building Design + Construction, among many other publications). According to a Folio magazine article published earlier today, Reed Elsevier is said to have allowed first-round bidders for RBI to resubmit their bids last week. The re-submission, which was not officially the second round, was allowed because certain bidders "felt they were not provided with enough information" on RBI during the first round, according to a Reuters report. The Folio magazine article said that it was not clear what that information was, nor which group resubmitted bids. A Reed Elsevier spokesperson could not be reached for comment. According to the Reuters report, the new bids came in "slightly lower" than the first round. The Folio article quotes a New York investment banking firm partner as saying that allowing resubmitted bids is a bit "unusual." At this point, McGraw-Hill remains in the game, but it will have to make its way through several heavy hitters to close the deal. UBS, the bank that's organizing the RBI sale, has invited more than 10 groups, including McGraw-Hill and private equity firm Bain Capital, to submit second round offers, according to the Folio article. Reed Elsevier expects to divest itself of RBI in the second half of 2008, according to the article. The value of the first round bids was said to have ranged between $1.87 billion and $2.33 billion. When times are tough, such as they are right now for some of you in the AEC industry, there's a mentality that often creeps up among firm leaders that "we need to get back to doing what got us here." Sounds like a good idea on the surface, but you have to keep up with the times. What got you from a $1 million firm to a $10 million firm will not get you from $10 million to $100 million. Doesn't work that way. Sure, there are some basic principles that work no matter what size your firm or how long you've been in business (pay bills when they come in, get invoices out when the work is done, never stop marketing), but things change and you have to change with them or you will be left behind. Take, for instance, the concept of marketing. For the purposes of this discussion, let's assume you are a 55-year-old male CEO of a 200-person architecture firm. Now, if you want to market your clients the way your firm marketed itself when you were named CEO at 45, I've got a big bucket of cold water waiting to hit you in the face with a reality check. You can't do it. Marketing is marketing, though, right? You are promoting your firm, building your brand, and developing relationships (which sort of blends into business development, but let's leave that aside for now), so why wouldn't the same marketing approach that you used 10 years ago work today? Fax machines are basically irrelevant at this point for marketing. Studies have shown that less than 5% of firms actively use fax machines for marketing efforts these days. Even the seeming holy grail of e-mail (distributed immediately, costs virtually nothing) has been handicapped through overuse and hyperactive spam filtering. To make e-mail marketing work these days, it has to be part of an arsenal of marketing tools, not the only one. There's still face-to-face marketing, which will always work, but the increasing demands on our time (not to mention the ramped-up pressure to validate your existence by bringing in more work through more proposal submittals and the growing trend of using the marketing department to help the HR department recruit employees) make it harder to get in front of clients. Plus, that's sort of a business development function. Of course, technology has helped us all get more done in less time, but that's the fundamental reason why doing what worked for you and your firm in the past does not work today. The generational gap between you and your audience is greater than ever if you are over the age of 50. Do the words BlackBerry, iPhone, LinkedIn and Facebook mean anything to you? That's how people are communicating these days, and effective marketers are adopting these tools and using them to their advantage. Everyone knows what a BlackBerry can do, and iPhones offer that functionality and the personal conveniences we've all come to enjoy in an iPod. But what about LinkedIn and Facebook? Are you familiar with these tools? Facebook has essentially replaced MySpace as the social networking site of choice for people under the age of 40. And people are communicating there both day and night. They might be doing it right now in your office, unless you have an aggressive spam filter that blocks it. LinkedIn, however, has become pretty much the business networking site of choice in the United States today. You can do everything from download someone's contact information to your PDA (click the "download vCard" button on the bottom of the page) to post questions about issues affecting you and your business. Trust me, people are doing this. My brother-in-law, who works in public relations, posts questions a few times a week and I just got off the phone this morning with an associate principal of marketing and business development at a Florida engineering firm who posts questions to help her with her new role in the human resources department. You can also update colleagues on what you are working on, post your resume (great for job-hunters and employers alike), and extend your network by finding out who your contacts have added as contacts. You can also join groups of professionals with similar interests (i.e., who attended the same college or are members of the same trade association). Anyway, the point of all this is there are constantly evolving means of communication and what was popular 10-15 years ago is not relevant anymore, so to think you can run your business the same way today that you did in the mid 1990s is similarly irrelevant. I'd love to hear your thoughts. Drop me a line or give me a call. The realities of the economic marketplace are causing Las Vegas, Nevada-based Trevi Architectural to close on Friday, according to an article in the Las Vegas Review-Journal. The firm has provided custom fountains, statuary, sculptures, columns and moldings to resorts including Wynn Las Vegas, Wynn Macau, The Venetian, and Caesars Palace, but company founder Scott Acton told the newspaper that a combination of factors led the to the business' closing, including a series of unpaid bills and a decision by the company's new owners not to put any more cash into the business. Most of the company's 147 workers were fired Monday, Acton told the newspaper. He would not say how much work is outstanding, but the article said he is trying to get orders moved to other companies. "I don't want to see any one of my customers get hurt," said Acton, who was named Nevada small businessperson of the year by the Small Business Administration in 2005. Private equity firm Ampersand Ventures bought Trevi Manufacturing on Sept. 17, 2007, changing the name to Trevi Architectural, according to the article. According to Acton, Ampersand decided recently not to put more money into the business. The company did double its sale volume after the transaction, but when a few vendors refused to pay outstanding bills, Trevi got into a "sticky situation," as Acton described it to the newspaper. A pair of lawsuits have been filed since May by the firm in Clark County District Court claiming unpaid bills totaling nearly $108,000. When the newspaper called Ampersand's office in Wellesley, Massachusetts, the story claims an employee said, "We don't talk to the press." According to the article, Ampersand was founded in 1988 as a spinoff of PaineWebber. Acton's work is part of the Las Vegas backdrop. His work includes the three-tiered fountain in front of The Venetian, the pirate ships at Treasure Island, and the cove moldings behind light fixtures at Caesars Palace, according to the article. Acton told the newspaper he is not sure what he will do next, but said he is thinking of restarting the business. Interesting article in today's Denver Post about how this week's Democratic National Convention is negatively impacting businesses near the Pepsi Center that is host to the event. Many businesses have either shut down or significantly scaled back operations this week. Among them is Staller & Henry Inc., a landscape architecture firm. "Our phones are ringing about 10 percent of what they normally do," said Adam Anderson, who works for the firm. Another firm having problems is eBlueprint, which prints and manages reprographics for architecture firms and is located within the blockaded perimeter surrounding the Pepsi Center. According to the article, company drivers and couriers are having trouble getting in and out to make blueprint deliveries. A second eBlueprint office in Aurora has not been affected, which is keeping the company afloat this week. "If it wasn't for our other store, we would have nothing," said an employee. Interesting to see the downside of what appears on television to be a celebration of Barack Obama's nomination as the Democratic candidate for president. In case you missed it, URS Corp. and Jacobs Engineering Group Inc. announced three acquisitions in the past week. Yes, you read that correctly as URS, the 50,000-person engineering, construction, and technical services firm based in San Francisco, bought LopezGarcia Group Inc., a 250-person infrastructure firm based in Dallas, Texas., and acquired most of the assets of Tryck Nyman Hayes Inc., a 60-person engineering, landscape architecture, and surveying firm based in Anchorage, Alaska. Meanwhile, Jacobs Engineering Group announced earlier today that it has acquired a maintenance, construction, and service works contractor in England that will significantly increase its presence in Europe. The Pasadena, California-based Jacobs bought L.E.S. Engineering Limited, a Grimsby, United Kingdom company that specializes in mechanical, instrumentation, and electrical installations in the utilities industry. According to a press release announcing the LopezGarcia deal, Gary Jandegian, president of the URS division of URS, said that the state of Texas issues a lot of government bonds— $11.1 billion worth in the first quarter of this year— which are used to pay for the type of infrastructure projects LopezGarcia works on. Wendy Lopez, the co-founder and CEO of LopezGarcia, one of Dallas' most recognizable engineering firms, will remain with the firm as leader of its Texas initiative with a title of vice president, according to the Dallas Business Journal. LopezGarcia and URS would not disclose financial terms, but Lopez is quoted in the article as saying it was an all-cash deal. She also said that URS approached the firm about a possible merger about a year ago. For those of you who have never had the pleasure of meeting Wendy Lopez, let me say that she is one of the most dynamic and opinionated people I have ever met. Among A/E firm leaders, she would be at or near the top of any list of people who pull no punches when you talk with them. A straight shooter in the truest sense of that phrase, I have always enjoyed talking to Lopez. While the acquisition is good news for her, it's a sad day for the industry when someone who grew her firm from a one-person operation 20 years ago to the firm it is today is no longer in charge. MWH and Hatch Mott MacDonald also announced acquisitions in the past week as well; MWH acquiring a hydrogeological consulting firm based in Lima, Peru and Hatch Mott MacDonald acquiring a small transportation planning firm in California. While you may have read elsewhere that the M&A trend is slowing, that's not entirely true. What is happening is that strategic buyers are taking more time vetting potential deals and are less reluctant to walk away from the table at any point in the process. So you may be hearing about less deals, but the deals that are announced now have a better chance of sticking. The American Institute of Architects' Architecture Billings Index (ABI) posted its highest score since January, but the numbers announced earlier today represented the sixth consecutive month with negative scores, indicating that the economic outlook for U.S. architecture firms remains bleak. As a leading economic indicator of construction activity, the ABI shows an approximate 9- to 12-month lag time between architecture billings and construction spending. The AIA reported the July ABI rating was 46.8, up slightly from the 46.1 mark in June (any score above 50 indicates an increase in billings.) The inquiries for new projects score was 54.6, up from 51.8 in June and 46.5 in May. "Financing for new projects continues to be a problem," said AIA Chief Economist Kermit Baker. "Many projects are being reconsidered due to construction cost increases. And while there are a good number of projects still in the queue, owners are taking longer to proceed to the next phase of the design process." The ABI breaks down by sector as follows: Institutional construction (53.6, up from 51.6 in June, indicating a continued increase in the amount of work on government buildings, schools, and hospitals), commercial/industrial projects (48.8, up from 45.8 in June and 39.7 in May), mixed practice (45.6, up from 44.1 in June). Interestingly, while the ABI remains in a slump, many large, publicly traded AEC firms posted positive quarterly results in their most recent filings. And M&A activity shows no signs of letting up. Yet, some firms continue to reduce their workforce through layoffs and attrition. It's hard to draw any real conclusions from all this other than the fact that the AEC industry is not immune to the stops and starts of the U.S. economy at large. 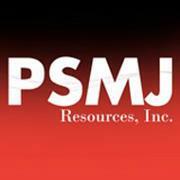 To learn more about the industry outlook for the rest of 2008 and 2009, check out the September issue of PSMJ. Here in Massachusetts, the K-12 market has become a lightning rod for controversy. Prodigious cost overruns on certain high-profile school projects have left the local K-12 design community with some significant challenges and some outstanding opportunities. First, let’s discuss the challenges. Boston’s Big Dig is the national poster child for what can happen when there is shoddy oversight on publicly-funded projects. As a result, Massachusetts communities get very upset when a city or town government proposes additional tax increases to cover cost overruns on school building projects. The Commonwealth is going to be chained to the corpse of the Big Dig for another generation – people here have no patience for being linked to another, more local money pit. Another challenge is that State Treasurer Timothy Cahill leads up a new pilot program designed to rein in the costs of these school projects. A political science major, Cahill owned a small business for five years before becoming a professional politician in 1987. The principal foci of Cahill's pilot program are to identify “examples of frugality that should be replicated across the state” and "eliminate one-upmanship [between communities], which at times has prompted a spate of field houses, swimming pools, and other expensive perks". Cahill explains, "Standardization will take the envy factor out of the process." Lovely. Who else is picturing Soviet-style blockhouses? The local design community has spoken out about how unrealistic this cookie-cutter approach is. John Nunnari, public policy director for the Boston Society of Architects, has said the state could reap better savings by developing standards for building materials and allowing construction contractors to join in the local design process. He is right, of course. Now for the opportunities. Who better than the design community to educate local stakeholders on how to complete a project that ultimately will meet all their needs and save them money in the long run? When a community school superintendent says of the Commonwealth’s pilot program, “"I think it's a good concept. It's almost the same thing you would do when building a house. The architect sends you to visit houses they already designed and you pick the one you like." There is a clear need to inform the stakeholders about what’s possible. I am sure this is happening in every community in North America. Does anyone have a story they’d like to share? For the past 20 years, my wife has worked for a firm that provides financial software products to the structured finance industry. It’s a great story – a couple of MIT guys working out of modest digs in 1985 are in 2008 the undisputed leaders in the cashflow modeling industry – managing a firm of over 100 people on three continents. When we hire people, we try to bring in candidates that have some connection to the company – a friend, former co-worker, colleague in a client firm, etc. – and see if they are what we are looking for. A few years ago, I had a friend-of-a-friend who was an assistant to a fixed income money manager before he was laid off so I had him come in for an interview. Our hiring manager told me that he totally bombed on the problem solving questions so they didn't bring him back for a second round. The candidate called me a couple weeks later for a postmortem but was completely baffled about why the fact that he couldn't answer a question about how to efficiently weight 9 pennies had anything to do with whether he was a good bond analyst or not. I tried to explain that our philosophy in hiring is that we're looking for good generic problem solvers and finance knowledge coming in the door isn't important. I knew that he still didn't get it when we hung up and the next couple times I talked to our mutual friend, she pressed me on it and couldn't get her to understand that one of the keys to our long-term success over the years has been our hiring process. We haven't hired that much dead wood and while we've probably passed on a lot of people who ultimately would have turned into great employees, we've minimized the number of people on board who are useless. She didn't get it and still doesn't. Makes sense to me, what do you think? I heard a story today on National Public Radio about a handful of companies that are infiltrating the multibillion-dollar 411 market. As we all know, the phone companies today make a fortune on 411 calls (a service, by the way, that used to be free). These new directory assistance companies don’t charge users a fee. Rather, they charge advertisers to run short ads through the information retrieval process. Companies employing this model have been profitable almost instantly – and they themselves don’t advertise, their business is generated 100% by word-of-mouth advertising and repeat users. What are the lessons here for A/E firms? The phone company teaches us that if we offer a non-technical value-added service to clients (e.g., facilitating a permitting process, getting public acceptance of a project, etc.) we should be charging for it. These upstart directory assistance outfits are showing us that even a monopolistic service like 411 can be infiltrated – if you come at the issue at the proper angle. It’s not impossible to gain traction on a sheer cliff if you have the right tools (and attitude). The other lesson is don’t discount the power and reach of word-of-mouth marketing. Remember, these upstarts are making money because people who use the service are happy and come back. They are growing because other people are talking about them. For AT&T’s part, they are not worried. An AT&T executive quoted in the story said “lots of people will still pay for our 411 service”. Perhaps, but not as many and probably for not as long as he thinks. Also, as for the SMPS alliance with PSMA, what changed is the management structure. The SMPS board offered to manage PSMA nearly a decade ago when that organization was going through hard times. Earlier this year, the SMPS board decided it needed its full staff focused on SMPS, its chapters, and its members as the A/E industry faces an uncertain economy. "SMPS looks forward to opportunities to team with PSMA/AEBL on programs and initiatives as both groups move forward," Corlew told us Tuesday afternoon, adding that she believes PSMA/AEBL will not be part of next year's SMPS Build Business conference in Las Vegas, but instead plans to offer its own event in 2009. Finally, Corlew's heel got stuck in the stage not during the Marketing Communications Awards distribution, but during the presentation of the 2008 Class of Fellows. We apologize for the confusion. Maybe it was the altitude? Live from Denver: Are you kidding me? Finally, we sat in on this afternoon's panel of industry magazine editors. The panel, which consisted of Building Design and Construction's Rob Cassidy, Architectural Record's Jane Kolleeny, Architecture magazine's Ned Cramer, and Engineering News-Record's Jan Tuchman, talked about what they looked for in deciding what to publish. For the most part, everything was fine, but there were a few things that stood out. * Cassidy took a shot at both AIA and the Associated General Contractors of America (AGC) in talking about the rise of sustainable design. "It's pretty remarkable that we had to have a group of largely environmentalists push the movement along," said Cassidy, who described it as "appalling. This should have happened from the industry itself, not an outside force pushing it. Really, a lot more responsibility needs to be taken by this industry to deal with these issues." Cassidy is right, but it's surprising to hear him be so aggressive toward two of the largest trade associations in the AEC industry. * Later on, I found it somewhere between fascinating and appalling myself when Cassidy told attendees not to call him with potential story ideas. Not to be outdone, Tuchman told everyone not to send her an e-mail with the subject line of "press release" or to send her any attachments to e-mails. "I'm not going to open it on my handheld and if I save it, I won't remember to look at it when I get back to the office." Tuchman went on to say that she doesn't want to get phone calls from people asking if she received their press release. Kolleeny said that if she receives e-mails with project photos attached, McGraw-Hill's limited server space forces her to delete the e-mails immediately without opening them. Are you kidding me? McGraw-Hill is a giant company. They really can't find the storage capacity to receive e-mails. And she really can't download the photos and delete them? But, wait, it gets better. Kolleeny advised attendees to educate themselves before sending something to a magazine or calling them seeking placement. This is good advice, but she wouldn't leave it alone. "We have really good PR people who call us and say, 'We'll be on our way.' I love that. I know it will be something we want." Sounds to me like she's advocating that AEC industry marketers shouldn't bother becoming PR savvy. Instead, they should just hire a PR firm to do it for them. When it's necessary to do so, I would agree, but there are plenty of talented marketers who know how to run the firm's PR efforts. Well, from the sound of it, she doesn't want to hear from you. What message does that send to an audience of marketing professionals whose lifeblood depends on the visibility that these magazines can offer them? Don't bother us. We're too busy to open your e-mails, take your phone calls, or read what you send us. Don't believe me? Check this out. "Send me an e-mail letting me know you are sending me something in print. I will put it in my calendar to look for a package tomorrow," Cassidy said. Are these people really this lazy? * For the first time in my five trips to Build Business, last night's Awards Gala went off without even a hiccup. (Well, there might have been a slight mishap, but more on that in a minute.) The evening got off to a great start when everyone made their way inside the ballroom a few minutes ahead of the 7 p.m. start time. It was very impressive to see how quickly the evening moved along. People were quiet and respectful for a change, perhaps due to the decision of conference organizers not to serve alcohol for the first half-hour of the gala. It was also a nice touch to honor the SMPS founders who started the organization 35 years ago during the AIA national conference in Kansas City. * It was sad to hear that former SMPS national president Ron Garikes is not doing well. SMPS National President Donna Corlew became visibly choked up when mentioning Garikes' name during the Gala. Garikes, who is suffering from an advanced form of ALS, has many friends within SMPS and countless numbers of people who he has helped in some way. Every year at Build Business, you can be assured to hear many attendees share Garikes war stories. Unfortunately, we can't print any of them here! * Surprised to hear this afternoon that the alliance between the Professional Services Management Association (PSMA) and SMPS is no more. PSMA is getting a new name, AEBL, and will no longer be affiliated with SMPS going forward. PSMA's membership, comprised of AEC firm leaders, has declined in recent years, which led to the partnership with SMPS and Build Business becoming a joint conference. Not sure what will happen going forward. * OK, we promised you that there may have been a mishap during last night's Awards Gala, and here's the story. When Corlew was on stage handing out the 2008 Marketing Communications Awards, her heel got stuck in a small space where the risers should have come together, but did not. Unfortunately, the hem of her dress was wedged underneath the heel of the shoe, forcing the ever-graceful Corlew to quickly reach down, free her heel and the dress, and proceed as if nothing had happened. Of course, there were several hundred people looking on, so we all know better. But Corlew, as always, handled it like a pro! Had an interesting chat this morning with an executive vice president from a very well-known A/E firm whose job it is to find possible acquisition targets and bring them to the president/CEO for the greenlight to close the deal. He says that while he has brought many deals to the table, his firm has not closed any deals in 2008. One of the problems facing many possible buyers, as the EVP told me, is that buyers see firm valuations dropping and are waiting for them to hit the floor before making an offer. Meanwhile, sellers also see those valuations dropping and want to get out now before their potential sale price drops even further from the record highs of the past few years. It's an interesting dilemma to be sure. How are you solving it? Let us know. We're off to the spotlight event of the conference, the Marketing Communications Awards Gala, so it's unlikely there will be any more posts today, but be sure to check back frequently tomorrow. "It's a bit premature to sell everything, join a cult, and wait for the end," Sherwood said, alluding to the notion that the United States is mired in the throes of economic despair. In fact, Sherwood there are pockets of encouraging news in the AEC industry that "don't make news like they should." The U.S. is not in a recession, which is defined by two straight quarters of negative growth. Oil and fossil fuel prices are up, and while the dollar has softened, it has picked up in the last few days against the euro. "We've moved from trying to stimulate the economy by access to capital to concern about inflation. We're in a bit of a stalemate," Sherwood said. The 2008 federal budget is okay, but the United States is carrying a "pretty significant deficit." He added that the United States has so many pent-up infrastructure needs that, regardless of who wins the presidential election in November, the needs "will be addressed." That's good news for the AEC industry, as is the fact that there are pockets of single-family housing activity in Texas and parts of the Southeast, although the market is one-half the size of its 2005 peak, Sherwood said. Non-residential construction (hotels, manufacturing, institutional facilities) is another bright spot. Hotels are up 12% from 2007, although he projects it slowing in 2009. The manufacturing sector has improved 45% from 2007 thanks to increased energy needs. The education (higher education) and health care markets have shown steady modest growth. The non-building market (infrastructure and power transmission, most notably) is up 3% from 2007. The bad news is, of course, the residential real estate market, but the non-residential market (office and retail are both in decline) is also struggling. Sherwood said that while the office market is down only 1% from 2007, "2009 looks bad." He added that 2009 could be the start of the turnaround in the single-family residential market in certain geographic markets. The biggest issue facing the domestic built environment is access to conventional capital, according to Sherwood. "If you want to follow markets, follow the capital." In the big picture, the total 2008 construction market is $557.8 million, which is a 12.4% decline from 2007. Interestingly, even though China is the fastest-growing market, through 2010, the United States will remain number one in total construction spending in the world. If the United States enters into a recession, Sherwood said that McGraw-Hill research indicates that the commercial building market suffers the most. The change in the institutional market is "slight and lagged" because "funding measures don't necessarily run in pace with a recession." Because much has been made of the increase in foreign investment in the United States, Sherwood faced a question from the audience about how real the perception is. "Right now, the United States is a buy. Large multinational firms with a global presence are enjoying this. You definitely have new players trying to come into this market, but the problem they are having is finding people to do the work." Interesting presentation this morning from opening keynote speaker and best-selling author Frans Johansson (The Medici Effect). We only caught the last portion of Johansson's talk, "The Medici Effect: Groundbreaking Innovation at the Intersection of Disciplines and Cultures," but we liked what we heard. "Diverse teams outperform homogeneous teams quickly." Johansson said that if you work in another industry or come from another culture, you will perform better faster. "Try as many ideas as you can." To illustrate this, Johansson shared the well-known fact that Google employees are allowed to spend 20% of their time (the equivalent of one day a week) on any idea they want as long as it relates to Google. "Many of them go nowhere, but if it does take hold, Google funds it." "We adjust our behavior based on the risk around it." He said that if you are driving somewhere and the find road wet and slippery, you slow down. But when the road is dry, you speed up again. "Your risk is the same because you adjust your behavior toward it." Johansson's point was that diversity of any kind will help you find unexpected connections, thus improving your marketing and business development prospects. The talk was very well-received and many attendees picked up a copy of his book after the presentation. Hello, everyone, from Denver, site of the 2008 Society for Marketing Professional Services (SMPS) Build Business national conference! We made it in successfully yesterday afternoon, although some of the folks flying in from Boston had their flights delayed late into the night and are likely going to be quite bleary-eyed this morning. The early buzz here is quite positive. SMPS officials are predicting about 900-1,000 attendees, which is up slightly from last year in Denver. And the atmosphere among attendees is a lively one, as always. If that surprises you, given the uncertainty of the economy and the negative indicators (see the AIA Architectural Billings Index), it shouldn't. Marketing professionals use this event to share ideas and concerns about how to find more work and foster internal support for the value of marketing within their firms. Most of the attendees I spoke with last night at the welcome receptions and in casual conversations said they are quite busy, giving further credence to the notion raised by many AEC firm leaders that this slowdown is market-specific. Firms working in higher education, health care, and the energy markets are turning away work and/or having a hard time finding people to do it. Those working in different sectors (see residential real estate) find the glass half empty. There is an underlying fear that, like the recession of the early 1990s, firms will see marketing solely as overhead and cut back on it as backlog shrinks and client RFPs dry up. It's a valid concern, but there is the reality that cutting back on marketing is simply robbing Peter to pay Paul. After all, if you stop promoting your firm and reduce your proposal submittals, you are ensuring that the pipeline will slow down, your backlog will disappear, and you will in fact, struggle. Keep marketing, folks, but be smarter about how you chase after projects. Chasing after every project is only going to reduce your hit rate, keep you from getting shortlisted, and guarantee that marketing will be seen as a waste of money. Target marketing is always a good idea, but it is an absolute necessity when times are tough and margins shrink. It's time to head over to the Hyatt (we're staying at the Brown Palace), but we will update later. My friend Anne Mullaney from Cutter Consortium sent me a blog item today titled 10 most outrageous lies on resumes. The article reports that while only 8% of employees admit to stretching the truth on their resumes, 49% of hiring managers have caught applicants in lies about their experience or qualifications, according to CareerBuilder.com. Some of the more outrageous claims included being a Mensa member and a professional baseball player. I doubt the A/E industry is immune to this dubious trend among job applicants. Think about it: 1 out of 2 resumes that come into your firm probably contain lies about the applicant. That's scary. So what can you do about it? I suggest you take some pointers from PSMJ Circle of Excellence (COE) firms. When looking for experienced design people, one COE CEO I spoke with recently only hires people who are currently employed by other firms. I know that some people in the industry look at this as poaching - the definition of poaching and the associated moral questions are a topic for a future post - but this CEO feels that if he is offering a better opportunity for a designer, it is the firm the designer is leaving that needs to be introspective. This CEO believes that these candidates are willing to let their work do the talking for them and the firm gets an unvarnished look at the candidates' qualifications. Another COE CFO told me that his HR people rarely look at "blind resumes" - that is, resumes from people with no connection to the firm. All of her job candidates either know someone currently working in the firm or have collaborated with the firm in some capacity in the past - in other words, known quantities. A known quantity is far less likely to embellish a resume because he already feels like he has a competitive inside track for the job. Either way, you owe it to yourself, your staff, and your clients to improve your odds of getting honest candidates for positions in your firm.